The Humane PA blog is intended to educate, inspire, train, engage and sometimes entertain Pennsylvanians who care about animals, and our readers sure are a diverse group! Some members appreciate tips on effectively using their time to make a difference for animals, some like good news, some like an in depth look at the growing importance of politicizing animal advocacy, and some like compelling information. 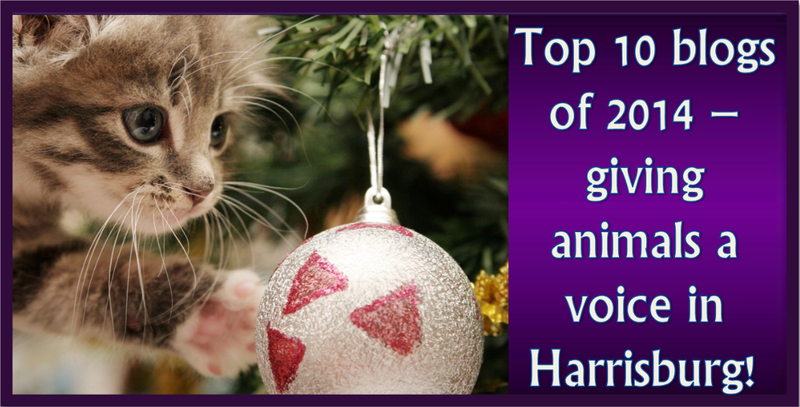 Humane PA has been blessed this year with many wonderful guest bloggers. Looking back over 2014, we are sharing the top 10 based on the number of “clicks” on the blog.